What is going to be discussed in this post are the advantages of a DIY electric car over a gasoline car and the reasons why people like to have an electric car. 1) No more trips to the gas station. Since a pure electric vehicle (EV) runs only on electricity, there isn’t any need to stop by the gas station to buy gas anymore. The only time you’ll need to stop there is to use their restroom. Compared to the cost of gas, the cost of charging the batteries of your homemade electric car is negligible. You may argue about the replacement costs of the batteries, but it is only to be replaced once in 3 – 5 years and it just costs less than $2000, depending on the type of battery you use. This is much less than the amount you would have spent on fuel for 3 years for your gas guzzler. Not to mentioned the money you’ll save on oil change, oil filter and fuel filter. Saving on fuel cost is one of the key advantages of having your own electric car. The internal combustion engine of a traditional automobile has many moving parts and any one of them can go out of order at any time. Replacing or repairing the defective parts will cost you time and money. But in the case of an electric car, there aren’t many parts that can go wrong. As long as the battery is fully charged, the car will go on running. If you compare a conventional car and an electric car, the latter is more dependable as there are fewer chances of a malfunctioning part and a break down. 3) Less dependence on foreign countries. The power source for an electric car is electricity from the battery and the battery can be charged from energy local sources. So an electric car doesn’t have to depend on fossil fuel imported from other countries at a great cost. This makes the EV owners and the nation as a whole self sufficient in terms of car fuel. The country can save huge amounts of money which otherwise would have been spent on importing petroleum. Let’s give a helping hand to all the fighting men and women in the Middle East by using less gasoline. 4) Less affected by global political impact. The gulf countries export petroleum products to the western world and the income generated by the sale of petroleum products is used to suppress the aspirations of the people for freedom and human rights. This money, on the other, hand could have been used for the development of those oil exporting countries by providing quality education for their citizens and creating more employment opportunities. People of the western world who buy the oil to drive their gasoline cars are in a way aiding the governments of these countries to deprive their own people of freedom and human rights. If you use electric cars, you will have the consolation that you are not aiding these governments in their nefarious actions. 5) Safer on the road. Electric cars are much safer than gas driven cars. 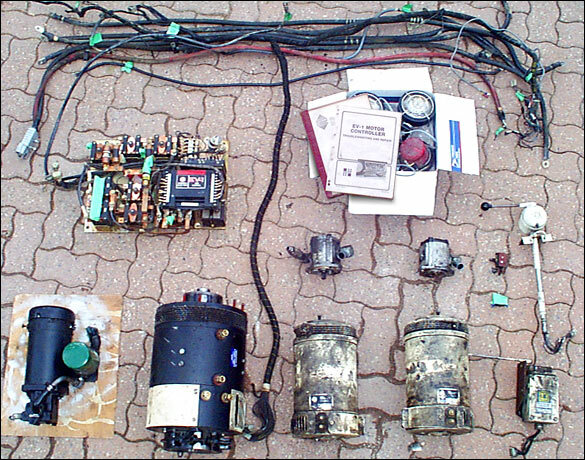 Gas driven cars have very complicated mechanisms and they have uncontrollable power. You can’t even imagine allowing your son driving a traditional car. But if it is an electric car, even small children can manage it. The only risk with an electric car is the high voltage battery but compared to the highly inflammable gas used in the traditional car, the danger from the electricity produced by the battery is negligible. 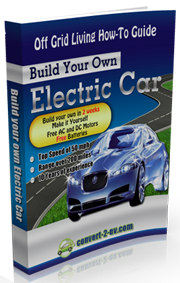 Are you planning to convert a conventional automobile into a homemade electric vehicle? If you are, it is best you read up on the science of EV retrofitting. Before you begin your electric vehicle conversion project, check out the Convert2EV ebook by Les and Jane Oke. The Okes live a green lifestyle in Canada and one way of keeping their carbon footprint small is by using pure electric car. The Convert2EV manual was written based on their experience of retrofitting old gas guzzler into electric vehicle.